Raised in League City, Hanh has been involved in the beauty industry for over 15 years. 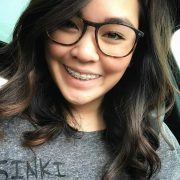 After studying business and receiving her Bachelor of Arts in Accounting at University of Houston, she is responsible for running the everyday operation of the salon. 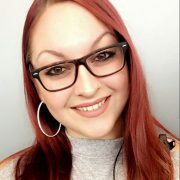 A driven, hard worker with fantastic customer service, she loves working in the beauty industry and working with the public. Her attention to detail make her an incredible nail tech, specializing in Natural Nails, Nail Extensions, Gel Nails and Glitter Nails. With 23 years of experience, this mother of five lives for hair. It’s not a job, but a passion. Hair is her sanity. 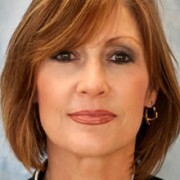 Raised in Galveston County, Denise graduated from Dickinson High School where she took their cosmetology program. 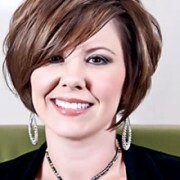 In addition to some continuing education courses, she has taken extra cutting, coloring, and product knowledge classes. 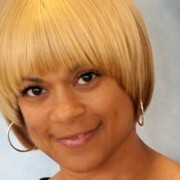 Her ability to stay updated on current trends and fashion make her an excellent color specialist. With over 40 years of experience in the beauty industry, Rosie has countless examples of transforming women by creating beautiful cuts and color. A large part of her skill comes from the priceless continuing education and certifications she has undergone. Early on, she had the pleasure of becoming Jay Sebring certified, which originated in California in the 70s. More recently, she has also had the pleasure of receiving certifications from Toni & Guy, Joico, Brazilian Blowout and Aquage. To expand her knowledge in the industry, she also underwent training with Moroccanoil, Keratin Treatments, Matrix, Phyto, Surface, and Aloxxi. She considers now to be a great time in her life to give back to the community and industry that has gifted her with all the knowledge and skill she possesses to this day. In the industry for over 13 years, Amy knows how to adapt to the ever changing hair trends. In addition to being fortunate enough to attend the Surface New Beginnings Symposium in Denver, she is certified with the Aquage MasterClass Academy and, more recently, Brazilian Blowout. Amy possesses extensive knowledge and training with Aloxxi Color and can create a canvas for your hair that suits your everyday needs and personality. 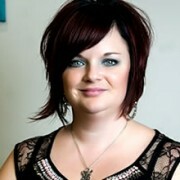 Laran brings over 5 years of experience to the Salon Naturale team. 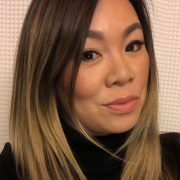 Along with her extensive training in Joico cutting and creative coloring techniques, she has attended many classes and academies including Redken, Aquage, BTC, Aloxxi, Surface, Brazilian Blowouts, and Phyto. In addition to education, customer service is of high importance to Laran, as can be seen in her extensive consultations and her top notch southern hospitality. She is particularly passionate about blonde highlighting, fun bright colors, long layers, short cuts, and extreme makeovers. Laran’s talents don’t stop there. She also offers gel nail service and signature manicures and pedicures that clients rave about. As one of Salon Naturale’s newest aspiring hairstylists, Taylor is eager to deepen her hair knowledge. She has attended numerous hair classes such as Aquage, Joico, Aloxxi, Babe Hair Extensions, and Brazilian Blowout. This has allowed her to remain constantly up to date with the newest hair trends. 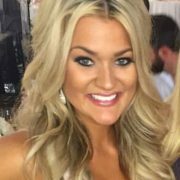 She wants nothing more than for her clients to feel “100% after they walk away from [her] chair.” It is her passion to make someone “feel great about their new look.” Taylor focuses on great natural hair colors and amazing blowouts. 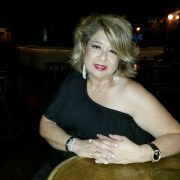 Licensed for over 26 years in the state of Texas, Kennetha has always had a passion for the hair and beauty industry. She has mastered a wide range of beauty techniques including ethnic hair cutting and styling, weaving, creating wigs, pedicures, and manicures. Kennetha specializes in lash extensions. Dustyn has always had a passion for the beauty industry and making people feel better about themselves. Originally from Waycross, Georgia, Dustyn worked at the Mayo Clinic for six years as a surgical tech before making the decision to follow his dreams. He graduated from beauty school in May 2015 during which time he worked as an assistant in a salon. 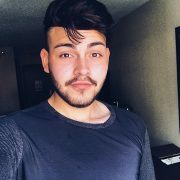 He’s been in the industry for over a year and is always eager to learn new techniques and further his education so his clients can stay on top of new trends. Dustyn’s passion lies in Hair Coloring, Haircutting, and Hair Extensions. 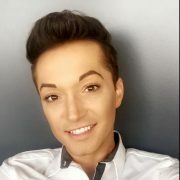 Just beginning his career in the beauty field, Frank is a wonderful, effervescent individual with a true passion and love for beauty. He began styling hair in his teens and quickly decided to pursue a livelihood in the field. He finds inspiration in high fashion and fine artistry and aims to incorporate elements of both into his services. He excels in Haircutting, Hairstyling, Balayage Ombrè, Makeup Artistry, and giving his clients the best experience he can in his chair. Though her official cosmetology journey began in 2015, Allison knew she had a passion for beauty at an early age. Eagerness to learn and grow as a stylist has enabled her to pursue certification in Babe Extension, Brazilian Blowout, Keratin Complex systems and Spa Girl skin care. She excels in up styling and blow outs, but also has an eye for hair shaping and coloring. Her fun loving personality and sunny disposition make her an easy choice for your style needs. Originally from the small town of Granbury, Texas, Peyton has been living in League City for 3 years now. She started her cosmetology journey at Paul Mitchell the School in Webster in 2016. She takes pride in her customer service and making her clients feel at ease. Her positive attitude, sense of humor, and bubbly personality make everyone appreciate having her around. She’s a hard worker, who strives for nothing but excellence and perfection in anything she does. Her passion for cutting, foil work, as well as hand-painted color drives her to pay close attention to detail, making every look custom for each individual client’s wants and needs. As a child, Lisa would go to the salon with her mother so it was inevitable that she would fall in love with the beauty industry. With 10 years of being in the industry, she is able to recreate and replicate techniques based on latest trends. Every nail starts as a blank canvas but with her expertise in Nail Art it becomes a masterpiece! Mckenzie found her love for beauty early on in life while experimenting at a young age with makeup in her free time and acquiring new hairstyles. From that moment her interest in the industry grew immensely. She started her cosmetology adventure in high school then graduated early as a young mother to pursue her dreams at San Jacinto South College. She graduated in 2015, currently working towards her license. 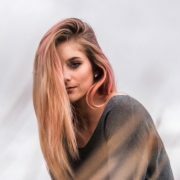 She has always been intrigued by Hair Color, while learning all the amazing techniques and styles we use in order to get the concept clients look for. She loves trying new things, learning from her team members, as well as collaborating new ideas. She expresses her personality through her work while inspiring clients to be who they truly want to be, beYOUtiful! Celeste Frink attended San Jacinto-South Campus for Cosmetology. 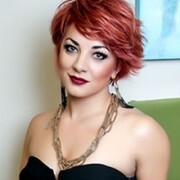 After graduating, she developed her career in El Paso, TX for 4 years, mastering her cut and color techniques. In 2017, Celeste moved back to Houston seeking more opportunities in the hair industry and started at Salon Naturale. Her extensive education through Tony and Guy Academy and Bumble & Bumble have made her a client favorite. She specializes in a variety of updos, and loves doing blowouts – weather you are wanting a sleek look or beachy waves, she can do it all. 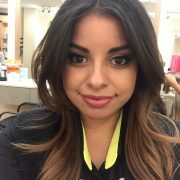 She is certified with Brazilian Blowout and has received training for different Balayage techniques. Rounding out her list of talents, Celeste is certified through Babe Eyelash Extensions to take care of your individual eyelash applications. Celeste’s live for education and passion for the industry shines in all of her work, and she would love to see you in her chair! !